According to impeccable source President Muhammadu Buhari has finally assented to the 2016 budget after a long wait and negotiation between the presidency and the national assembly. 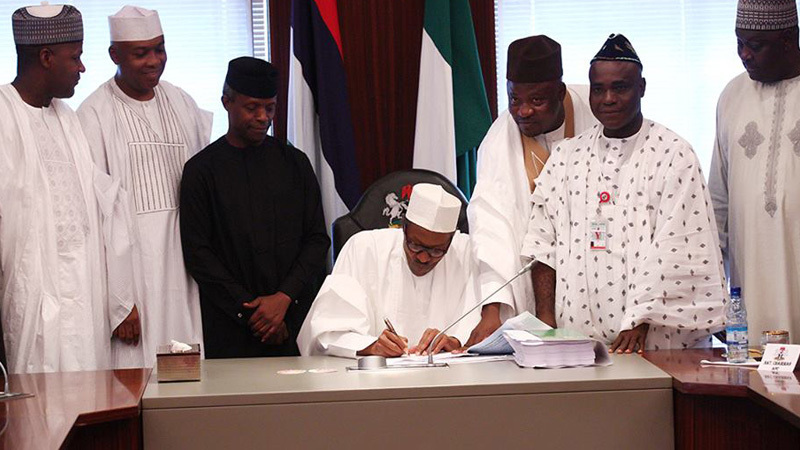 In April 2016, the national assembly transmitted details of the budget to the president after it had passed the bill on March 23. 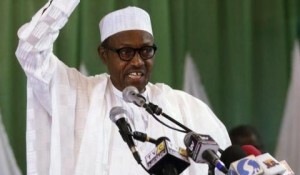 However the president returned the budget to the national assembly sighting errors. From Monday 2nd May to date, a joint legislature/executive committee was working round the clock and has finalized the revision. The President today (Friday) has signed the budget into law at exactly 12:32 pm inside his office at the Presidential Villa, Abuja. In December 2015, the budget proposal presented to a joint session of the national assembly by Buhari was N6.07trn. A total of N351bn was for statutory transfers, N2.8trn for recurrent expenditure and N1. 8trn for capital expenditure. The legislature, based on the recommendation of its committees on appropriation, adopted $38 per barrel crude oil benchmark for the budget, as proposed by the federal government. It also adopted a foreign exchange rate of N197 per dollar as proposed by the government.